Coursera had the unique opportunity to sponsor a hackathon geared towards breaking down the barriers to education for refugee girls. 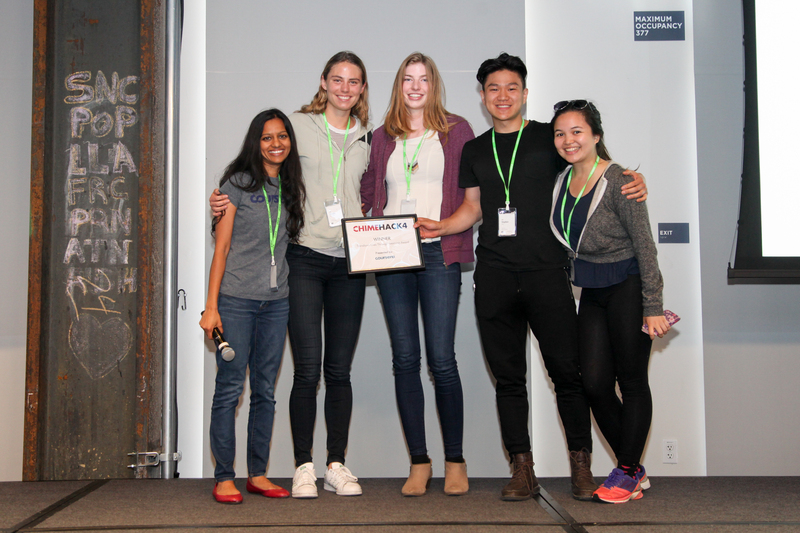 CHIMEHACK 4, which was hosted by CHIME FOR CHANGE, together with Gucci, Facebook, Global Citizen, and Kleiner Perkins Caufield Byers, took place in early June. The hackathon is one of the largest women-focused events of its kind and aims to create tech-driven solutions to gender inequality. More than a dozen Coursera employees participated in the event as issue experts and mentors to the nearly 250 participating hackers. Coursera employees from around the company volunteering at the hackathon earlier this summer. 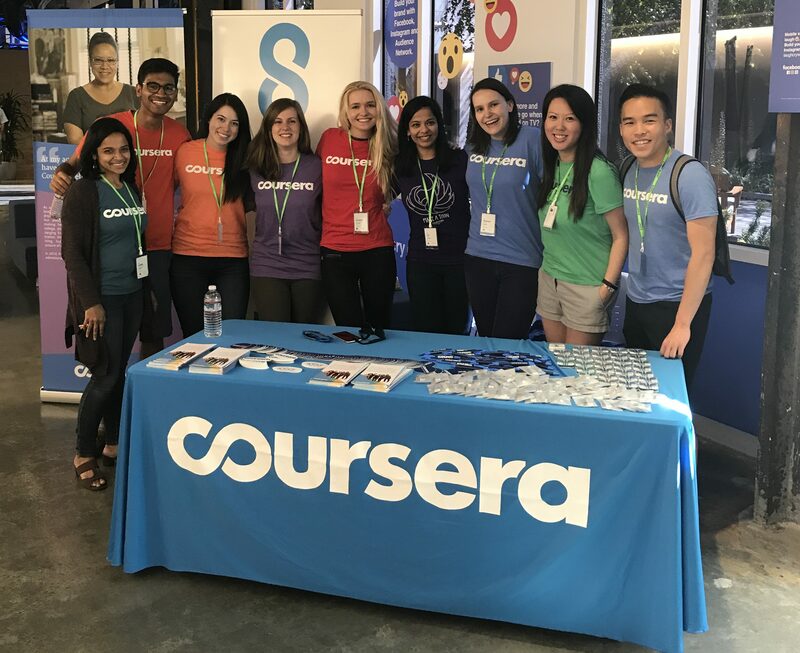 This event was especially meaningful to Coursera and our mission; just last year, we set out to provide online education at no cost to refugees around the world through Coursera for Refugees. To date, we’ve enabled more than 5,000 refugees to have access to quality education, and we’re just getting started. The winning team of CHIMEHACK 4 posing with Coursera engineer Priya Gupta (left). As sponsor to the event, Coursera provided a prize that included a visit to Coursera HQ for the team that best demonstrated how to “Transform Lives Through Education.” The winning project by Team EmpowerPods was a solution that connects a community of refugee girls to educational content through small physical pods to areas where internet connectivity is limited. Earlier in August Stephen, Natalie, Mikaela, and Alison of Team EmpowerPods spent the day at our office in Mountain View, Calif. Jade Mays, Program Lead for Governments & Nonprofit Partnerships, along with Arjun Pandiyan, Software Engineer, were two of the mentors meeting with the team to help strategize the project further. Arjun commended the team for their great idea and offered to be a technical thought partner to implement a solution in the near future. 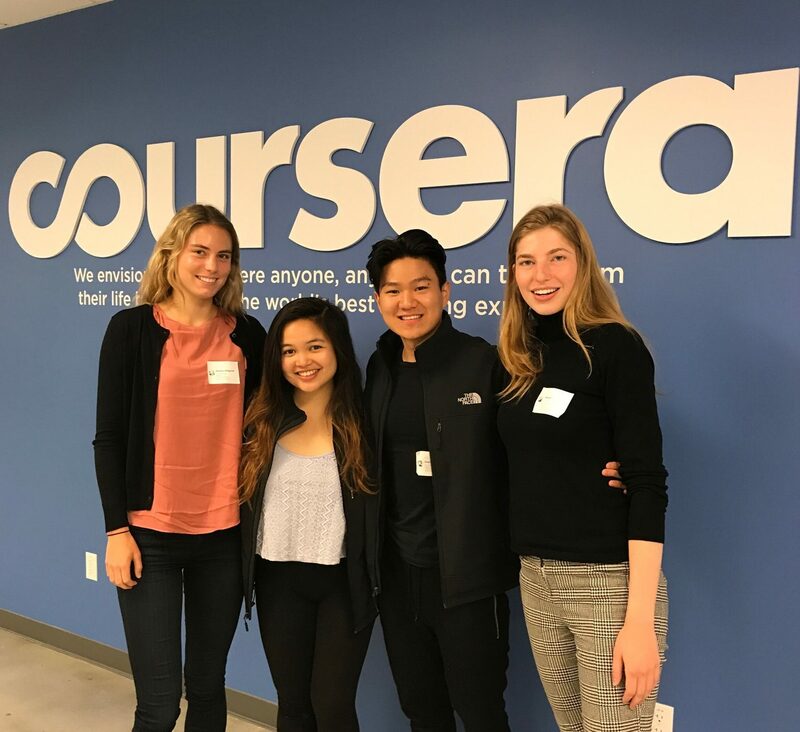 Natalie, Mikaela, Stephen, and Alison of winning Team EmpowerPod visiting Coursera HQ this August. In addition to Jade and Arjun, the hackathon champs met Coursera’s recruiting team to understand the ed-tech and talent market, engineering leaders for career guidance, and Lila Ibrahim, COO, who talked about the startup landscape and opportunities for impact in the social mission space. By the end of the day, everyone at Coursera who interacted with Team EmpowerPod was excited and inspired by the energy these four brought to social mission challenges. Coursera is honored to recognize these entrepreneurs and hope the time spent at our office continues to inspire the team (and others!) to make an impact in the education space. Interested in other ways to make an impact with Coursera? You can recommend Coursera for Refugees or Coursera for Governments and Nonprofits to organizations in your network, or join our Global Translator Community to assist with subtitle translations.